Area Per Student: 96 sq. ft.
One of the oldest operating buildings in the State of Illinois, the 129-year-old Nancy Hill Elementary School had long served the students and the community of Aurora. Many additions, upgrades and renovations throughout its history have done their best to keep the building’s ability to satisfy its occupants up to standard. However, West Aurora School District 129 and its serving community determined that a new facility to replace the obsolete school would best provide the ever-increasing educational responsibilities to meet the needs of today’s students. An evolving curriculum and pedagogy that encourage inquiry-based learning and collaborative environments were becoming more challenging for the old Hill to support. Six classrooms were stationed within temporary mobile units. The lower and upper floors for the building were inaccessible to users with wheelchairs. Adequately sized spaces were limited and at times, instruction occurred in confined locations. The library was situated in the basement with very low ceilings in an area no larger than a small classroom. Classrooms varied drastically in size and shape from one room to the next. Building infrastructure was failing, and accommodating increasing technology demands was difficult. With a parking lot already too small, there was no space dedicated to proper vehicular drop-off and pick-up areas, which created traffic congestion and frustrations. A new Hill School was needed to continue to educate and inspire the next generation of students. 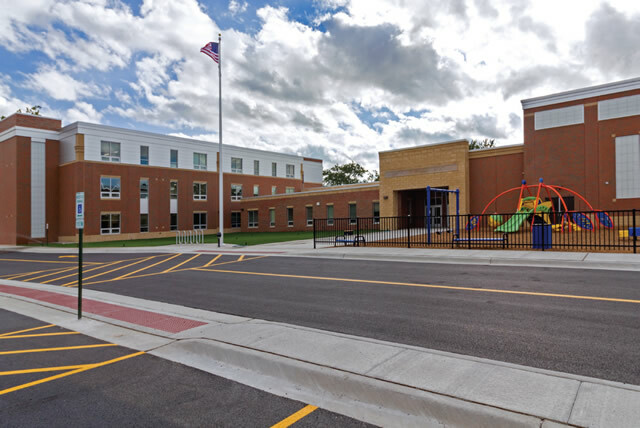 The journey for a new Hill Elementary School began in 2009 with a vision from West Aurora School District 129 for a replacement school building. This dream finally became a reality in Spring of 2015. As part of a successful $84.2 million building bond referendum, the community supported a district-wide plan for capital improvements throughout the majority of West Aurora School District 129’s 18 school buildings. Included in the referendum was a new replacement building for Hill Elementary School. 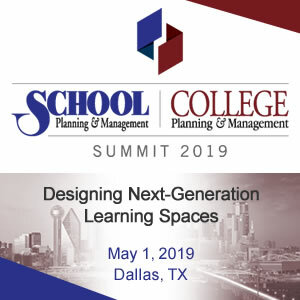 Throughout the design process, district administrators and StudioGC met with various groups to ensure the new building met the requirements and expectations of today’s learners. A committee of school staff was formed to provide input and feedback on the design as well as to be liaisons to their fellow peers throughout the process. The teachers especially provided guidance regarding the classroom usage. To encourage collaboration and flexible learning environments, it was important that classrooms were efficient in their space utilization. In lieu of traditional casework storage that encroaches on the general floor area of classrooms, the staff committee and StudioGC developed a district-standard Learning Wall. 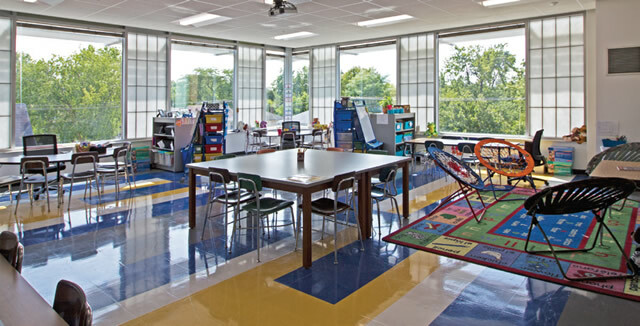 The Learning Walls provide a consolidated teacher’s desk and built-in area of adjustable storage in each classroom that maximizes square footage storage capacity while minimizing encroachment on occupiable floor area. High upper cabinets provide room for long-term or seasonal storage. Casework 7-feet and lower is hidden behind an additional teaching surface comprised of tall sliding magnetic markerboards. In addition to meeting with staff, the design team also led student engagement sessions with all grade levels of students at Hill Elementary to answer the question, “What does your dream school look like?”. While bright, fun, big, and new were all recurring adjectives, it was one student’s commentary in particular that was most influential. The student mentioned the need of additional safe and secure places to go to in case his classroom was inaccessible during emergency situations. The open multiple-stall toilet rooms in the existing building did not provide security and other alternative rooms were scarce. As a response, the classroom wings of the new Hill do not feature multiple-stall toilet rooms. Instead, there is a single-stall toilet room shared by two classrooms that is accessible directly from the corridor. 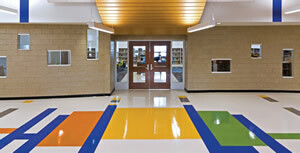 This provides an additional safe area for students outside of their classrooms if necessary. Indicator lights were incorporated into each classroom that subtly inform teachers if the toilet rooms are occupied or vacant. The new Hill Elementary School is located on the same site as the previous school building. 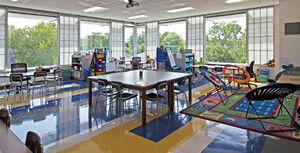 The overall building layout was designed and constructed in a way to maintain the full-time occupancy of the existing building during the school year. Physical constrictions on the nearly 4-acre site to the design and construction included the existing building, mobile classroom units, and the need to preserve outdoor play areas for the school year. 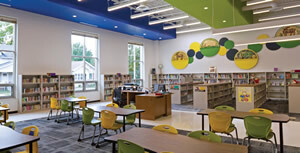 The new building footprint maximized the space available to allow the early education, kindergarten, 1st grades, and all shared instructional spaces to be located on the first floor. Grade levels 2-5 were allocated to the second and third floors. The basement includes a storm shelter for inclement weather. With an overall student capacity of 750, Hill Elementary includes 28 classrooms and features multiple flexible learning environments. Collaborative project-based rooms are included on each floor that allow multiple classes to join together for an activity. They also provide areas outside of the classroom for multi-day experiment staging. The Learning Commons, twice as large as the library in the old building, supports and provides space for STEAM and active learning modules. As a neighborhood school with a long history and rich nostalgia, respecting old Hill’s historical character in the design of the new building was important. Select items from the existing building were salvaged, restored, and reinstalled as accents in the new building. These include: four WPA ceramic tile lunettes by artist Emmanuel Viviano; a 1928 WPA wood dedication plaque; original 1888 millwork closets, doors, and casings; and the original Nancy L. Hill School limestone plaque that originally marked the 1888 building entrance and now adorns the new building’s main entry. Signature tile colors and patterns were incorporated into public areas as an homage to those featured in the original building’s corridors and stairs. 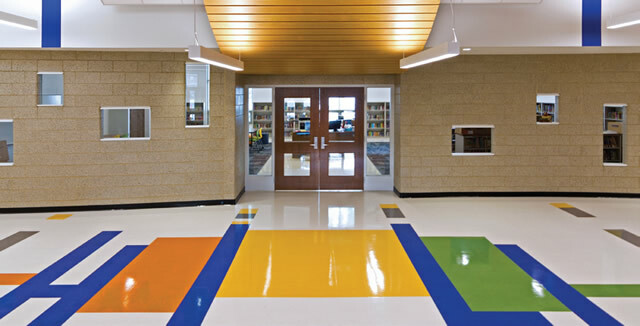 The historical elements were balanced in the design with modern components, including a serpentine metal ceiling welcoming visitors to the main entry and Learning Commons. Many of the building’s exterior walls and interior floor slabs were constructed of precast concrete. The exterior precast panels feature inlaid thin brick that is similar to the adjacent full-bed brick, creating a uniform building appearance. Erection of all precast wall panels was completed during summer break prior to students returning to school and allowed the building to be water-tight prior to winter. Construction progressed on schedule, and the district was able to relocate all material from the existing building directly to the new building after the last day of classes in May 2017. The timeline was coordinated to eliminate the need for and costs of remote storage. The existing building was abated and demolished to complete the campus site work, including a dedicated pick-up/drop-off lane for safe traffic flow and site access. The building includes a full geothermal heating and cooling system. A geothermal system utilizes the consistent temperature of the earth to provide heating in the winter and cooling in the summer. The bore and loop field is located underneath the outdoor play areas of the school. Each classroom has the ability to set a different temperature point from adjacent rooms in the school. Occupancy sensors on each classroom’s heat pump unit adjust the required output of each unit accordingly, further saving energy costs. Environmental allergens are better controlled, as each heat pump unit not only provides heating and cooling, but also dehumidification. Overall, the geothermal system reduces energy costs and improves building efficiencies and indoor air quality for better learning environments. Including Hill Elementary, a total of ten schools in West Aurora School District 129 received geothermal system through the referendum. Overall energy savings district-wide are anticipated to be 50 percent annually. Hill Elementary School opened its doors in August 2017 with fanfare amidst the celebratory ribbon-cutting and open house. Students were excited by the bright colors and large spaces; teachers were reinvigorated and inspired by their new teaching environments; and alumni cherished the historical salvaged items. Hill Elementary School will continue to be a beloved and integral part of the community for years to come. The learning walls are a nice touch. They managed to meet the challenge of building on an occupied site. Saving and including pieces of historic building is a nice feature.